The 2014 Silverado High Country will further broaden Crotty Chevrolet’s portfolio in the premium pickup segment when it joins the LTZ and Z71 models in the Silverado lineup this fall. 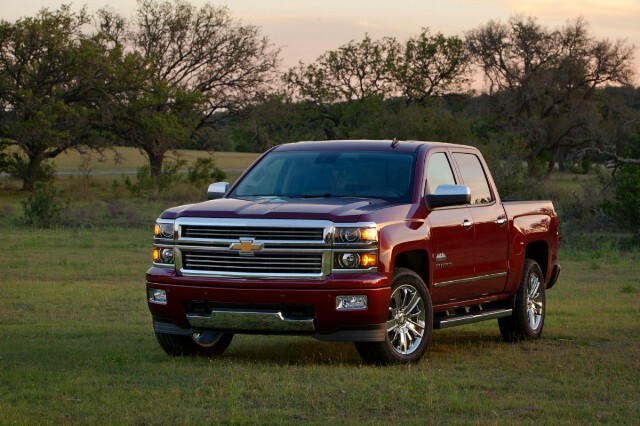 Chevrolet and Crotty Chevrolet Buick recently announced initial pricing, performance data, and EPA fuel efficiency estimates for the 2014 Silverado 1500, raising the bar in Corry, Warren and Erie’s fiercely competitive light-duty pickup segment. The base starting prices for the Silverado crew cab, the first model to be available in Crotty Chevrolet Buick’s showroom later this spring, and for the new double cab Silverado, which replaces the extended cab, also will be the same as for the corresponding 2013 models. Corry, Warren and Erie area buyers of all 2014 Silverados also will receive a standard scheduled maintenance program for two years or 24,000 miles, whichever comes first. Up to four maintenance visits are included in the price of the vehicle, each one of which includes a regularly scheduled oil change, oil filter replacement, tire rotation and multi-point vehicle inspection, based on the schedule in the vehicle owner’s manual. Full-size pickups are unique. Their owners routinely use them in ways that would horrify most car owners. They pull heavy trailers thought the mountains, haul tools and supplies down washboard gravel roads, and slog through mud and muck on farms and construction sites. And trucks are expected to perform these tasks for years on end, with a minimum of repairs. 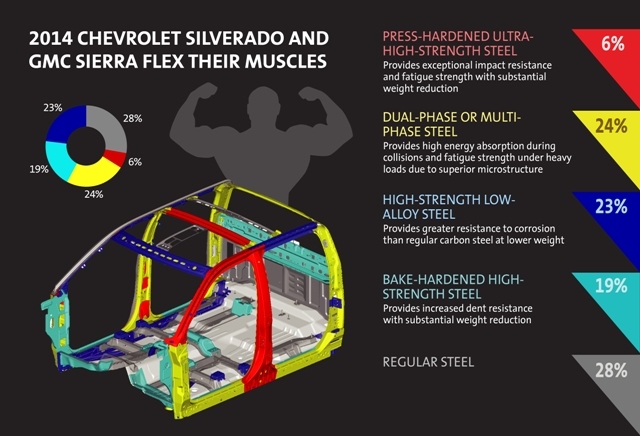 To help the new 2014 Silverado measure up to these tasks, engineers chose high-strength steels for the backbone of the new trucks – the fully boxed frames and the structure of the cabs that carry and protect the occupants. When the 2014 Chevrolet Silverado 1500 arrives at Crotty Chevrolet Buick in Corry, PA it will deliver more power, more torque and improved fuel efficiency, thanks in part to a trio of all-new EcoTec3 engines designed specifically for the needs of full-size truck customers. The new engine family includes a 4.3L V6, a 5.3L V-8 and a 6.2L V-8. EcoTec3 engines feature three state-of-the-art technologies – direct injection, cylinder deactivation and continuously variable valve timing – to make the most of power, torque and efficiency across a broad range of operating conditions. Chevrolet today unveiled the all-new 2014 Silverado 1500 full-size pickup which will be available at Crotty Chevrolet Buick in Corry, PA in the 2nd quarter of 2013. New from hood to hitch, Silverado is engineered to be the strongest, smartest, and most capable Silverado ever. The new Silverado builds on Chevrolet’s 95 years of truck heritage, while raising the bar for full-size pickups. Among the many updates for 2014 are a new trio of powerful, efficient EcoTec3 engines; a stronger, quieter, more comfortable cab; revised steering, suspension and brakes; ingenious solutions for managing cargo in the bed and true truck capability for towing and hauling. The 2014 Silverado will become part of Chevrolet’s three-truck portfolio, designed to let customers select the right truck for their needs. It joins the Silverado 2500 and 3500 HD pickups, the ultimate tools for towing and hauling, which were new for the 2011 model year. Chevrolet is also developing an all-new Colorado midsize pickup, which will offer proven truck capability in a space- and fuel-efficient package. Every detail of the 2014 Silverado 1500 was designed and engineered to meet the exacting requirements of full-size truck customers and to strengthen Chevrolet’s reputation for building the most dependable, longest-lasting full-size trucks – trucks with the lowest overall cost of ownership. “Don’t let the work boots fool you. Truck customers are among the most discerning and demanding in the business,” said Jeff Luke, executive chief engineer for full-size and midsize trucks. Chevrolet will take the wraps off the all-new Silverado 1500 full-size pickup on Dec. 13 at a special event in the Detroit area. 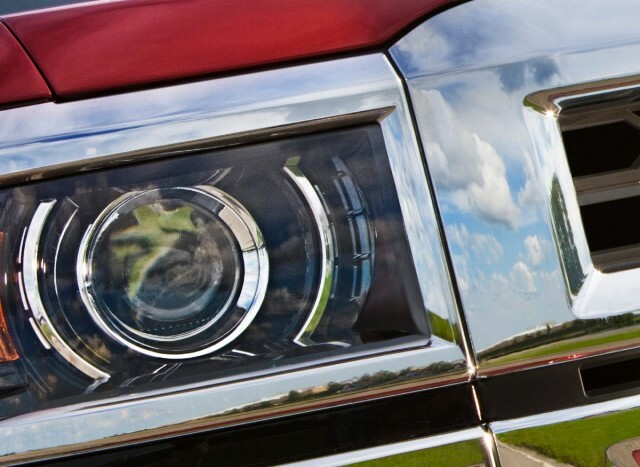 The bold exterior design of the new Silverado reflects the enhanced capabilities of the truck while features such as jewel-like, projector beam headlamps showcase the careful attention given to every detail. 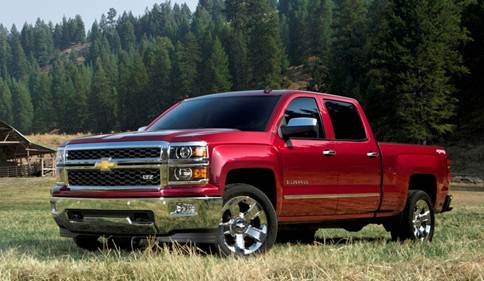 The new Silverado will be on public display for the first time at the 2013 North American International Auto Show in January, and will start production next year.